2019 HEAVY MUSIC AWARDS IS GO! Next years Heavy Music Awards (HMAs) will be the biggest yet as the organisers confirm Kentish Town’s O2 Academy as the venue for 2019’s celebration of all things heavy! 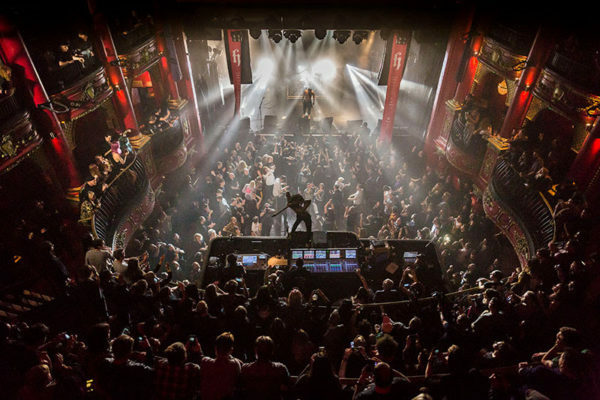 Eral Hassan, General Manager, O2 Forum Kentish Town, said: “We are so thrilled to be the venue of choice for the Heavy Music Awards 2019 and looking forward to going that extra mile with Dave and Andy to showcase the very best aspects of such a wonderful ceremony with our production capabilities in staging large-scale live events. The third annual HMAs will also see Ticketmaster return as Official Ticketing Partner for the second year.